Four paintings that demonstrate the project’s approach and research were shown. The first was Van Dyck’s oil sketch (oil on panel, two planks, 49.5 x 43 cm, Royal Museums of Fine Arts of Belgium, inv. no. 3014) for the large Crucifixion altarpiece hanging in Saint Michielskerk, Ghent. 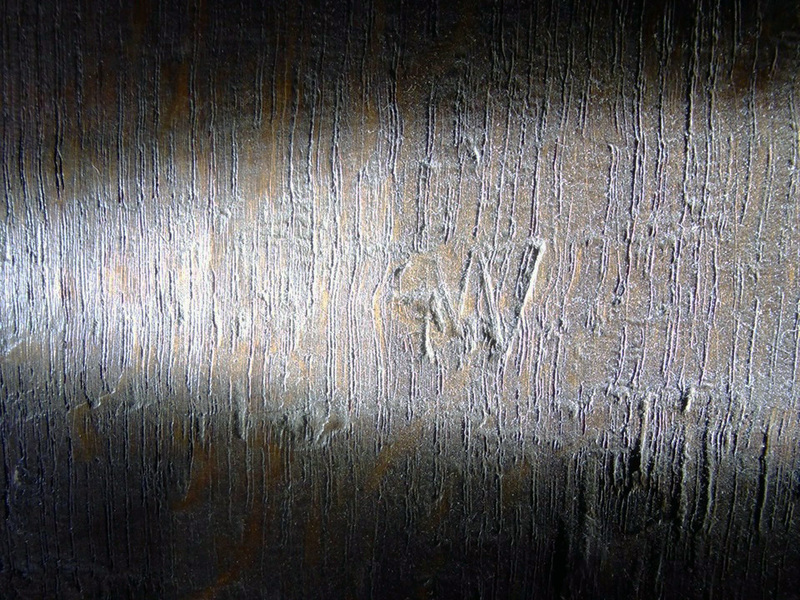 On the reverse we found the panel maker’s mark of Michiel Vriendt (below). Vriendt became a master panel maker in 1615 and died in 1636. His mark is often seen on the reverse of Rubens’ panels and his is the only panel maker’s mark we have found, so far, on paintings from Van Dyck’s second Antwerp period (1627 – 1632). Dendrochronology reveals that the two planks were made from oak trees that started growing in the Middle Ages, one in northern continental Europe, possibly northern Germany, and the other in the Southern Baltic Region, possibly Poland. The first was felled after 1621 (the year Van Dyck left for Italy) and the second after 1605. In addition, archival documents preserved in Ghent show that Van Dyck received his fee for the large altarpiece between 25 July 1629 and 25 July 1630. The style and execution of the painting is undoubtedly Van Dyck in his second Antwerp period. Thus, this oil sketch provides a good example of the multidisciplinary elements of the project fusing together. The second is a grisaille oil painting on panel (56.5 x 41.5 cm, one plank, Royal Museums of Fine Arts, inv. no. 3781) which served as the model for Peter de Bailliu’s undated engraving of Van Dyck’s Rinaldo and Armida, now in Museum of Fine Arts, Baltimore. It was bought by the museum from a Parisian art dealer in 1905 as a painting by Van Dyck himself. This attribution has subsequently been challenged by art historians and rightly so. Antonio died on 9 December 1641. The tree from which the panel was made was not cut down until after 1644. The third was a Jordaens which we recently rediscovered – The Penitent Peter and John the Evangelist Approaching the Tomb of Christ, oil on panel, two planks, 61 x 51 cm. We had found a reference to it and a small black and white photograph, taken in 1971, in the database of the Belgian Royal Institute for Cultural Heritage (IRPA-KIK) as belonging to the Church of Our Lady of La Cambre and Saint Philippus Nerius in Brussels. We visited the church but to no avail. Eventually Joost tracked it down within the Church fabric. Our research discovered that it was gifted to the church by Hortense Hannet (1855 – 1940) in memory of her husband, François Hannet (1837 – 1918), a Professor of Design in Brussels, and in whose collection it had resided. 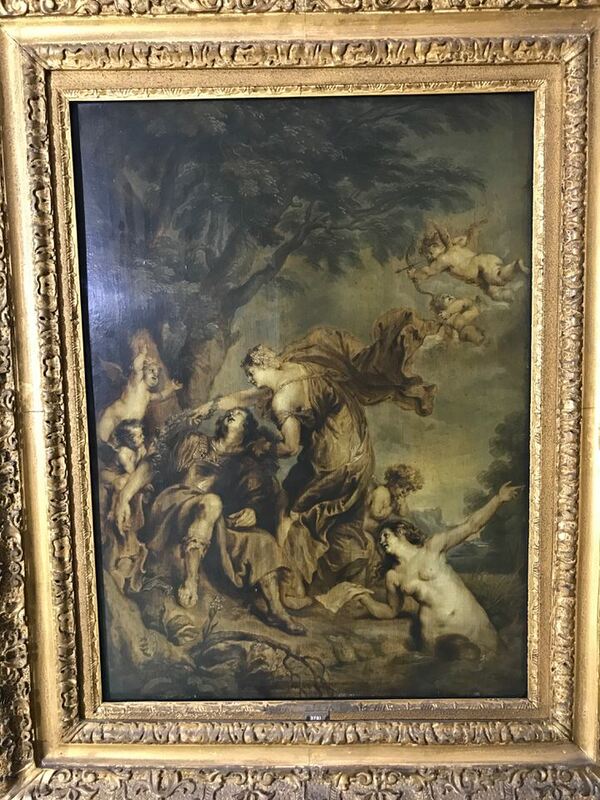 It had been exhibited at the 1905 Jordaens exhibition in Antwerp and it was listed by the art historian Max Rooses in his 1908 monograph on the artist but trace of it had been lost for over a hundred years and no image of it had been published. 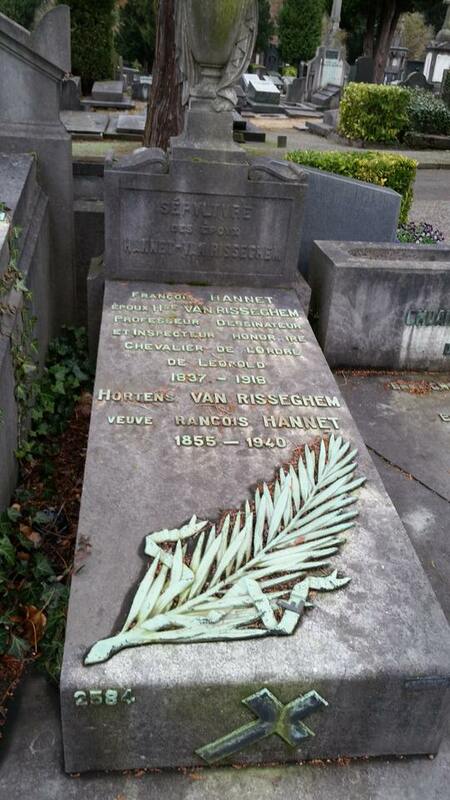 The grave of François and Hortense Hannet, Ixelles cemetery, Brussels. Photo by ‘StD’ on Find a Grave website. The rediscovered painting will be cleaned and some overpainting removed. 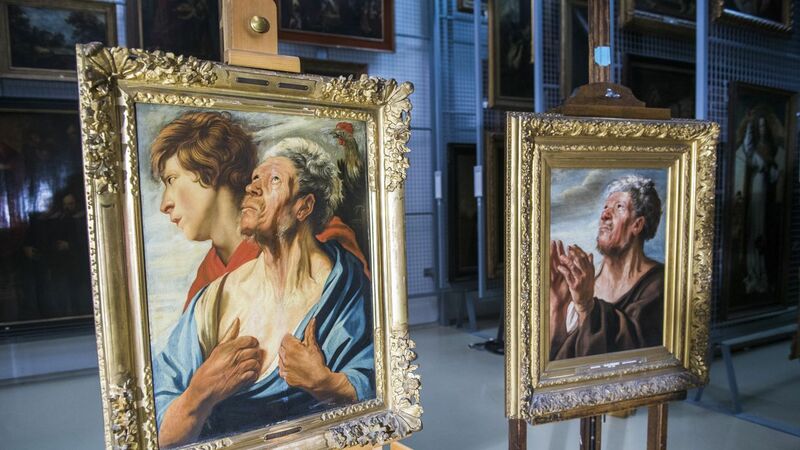 Afterwards, it will be exhibited in the forthcoming mid-project exhibition, ‘Revealing Van Dyck and Jordaens’, in 2018. How to cite: Davies, Justin. 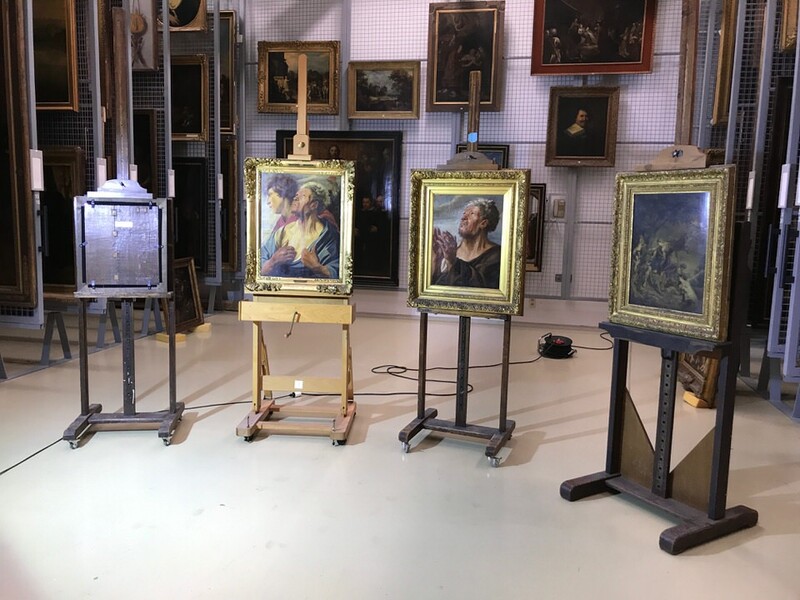 “Unveiling the Project and a recently rediscovered Jordaens” In Jordaens Van Dyck Panel Paintings Project.